The fall season is among us and we couldn’t be more excited! From the smell of pumpkin spice in the air to leaves changing color, fall is the perfect time for bringing residents together during this cozy season. The Lincoln Property Company team pride ourselves on providing the best in apartment living because that’s what our residents deserve. By using the colors, holidays, and weather as inspiration, here are a few fall-themed ideas for your next resident event! DIY Decor: Get inspired by painting, carving, or drawing at a fall-themed DIY Decor Night! 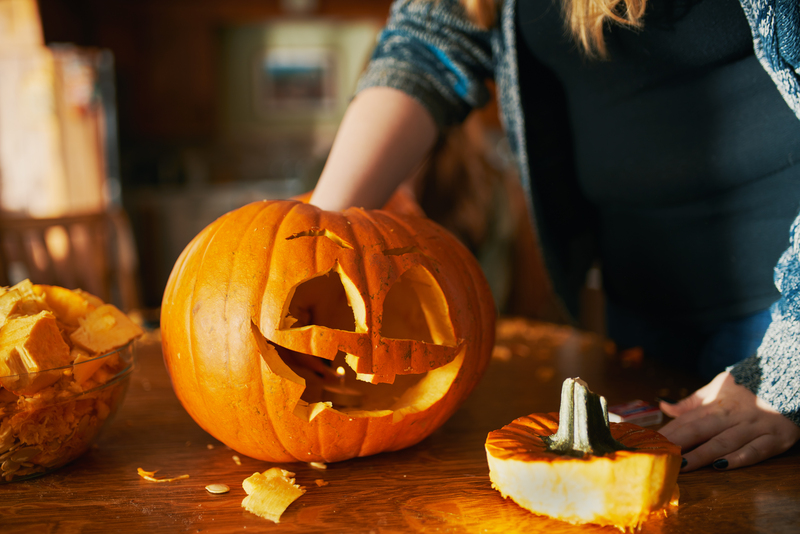 Choose from easy ideas such as carving pumpkins, decorating a candle holder, or painting a welcome sign. Residents can mingle with their neighbors over pots of paint while creating something special to spruce up their apartments! Monster Movie Night: Turn your clubhouse into a mini movie theater and play a few scary movies to help get your residents in the spirit! Reach out to your residents for suggestions or opt for old school classics such as Creature From The Black Lagoon or Frankenstein. Another great option would be a night strictly for family-friendly flicks such as Hocus Pocus or The Nightmare Before Christmas. Don’t forget the most important part – fresh popcorn and fun-sized candy! Cozy Coffee Bar: Make Sunday morning even cozier with a fall themed coffee bar for residents to stop by, socialize, and have a sip! Stock up with treats such as cinnamon donuts, apple fritters, and pumpkin bread to pair with a variety of fall-flavored coffees. In addition to coffee, offer spiced teas, apple cider, and hot chocolate for those looking to converse without the caffeine! To learn more about organizing fun resident events or to suggest an idea, contact us today!